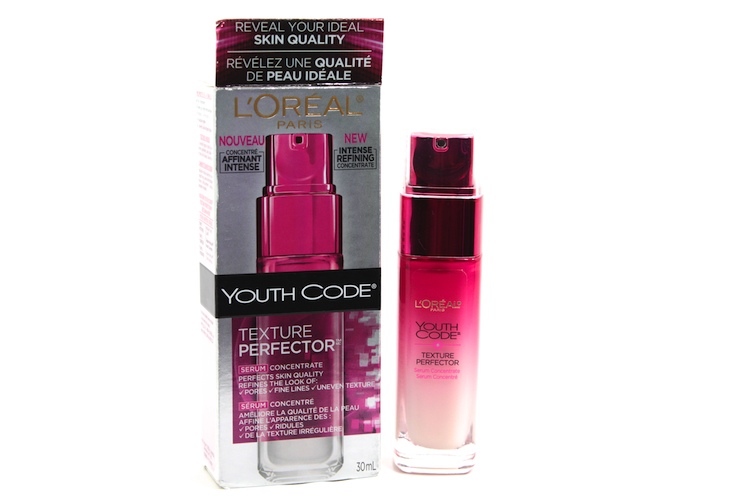 L'Oreal Paris has launched a new skincare line recently to target the appearance of skin called the Youth Code Texture Perfector. This line introduces a new formula including Perline-P and LR2412. Perline-P is a plant complex that helps with pores, skin texture, and fine lines, while LR2412 is an exclusive patented molecule used by L’Oréal that visibly corrects the look of skin. Together they work together to reveal smoother and more even looking skin by tightening pores, refining the skin's texture, and softening the skin. It comes in two products: a serum and a day / night cream. 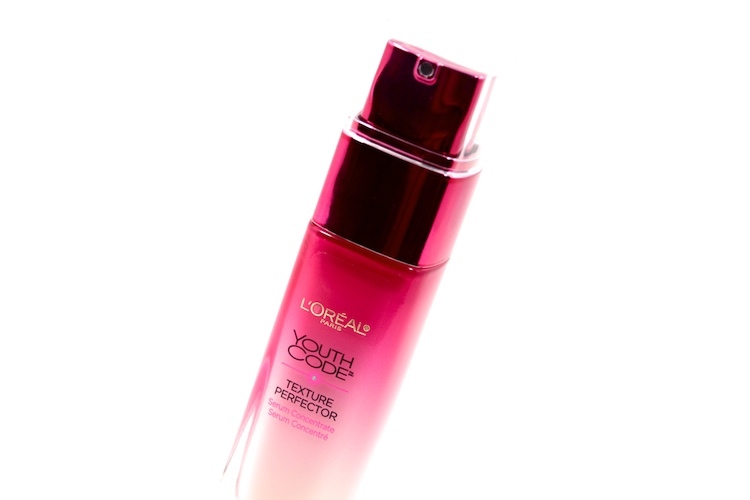 I picked up the serum because I prefer the lightweight, almost gel-ish texture. It feels nice on the skin, moisturizing and non-greasy. It absorbs into the skin quickly and wears well under makeup. There's a slight fragrance to it. I can't pinpoint what exactly it smells like, perhaps a mix of alcohol and something floral? It's hardly noticeable after a few minutes. 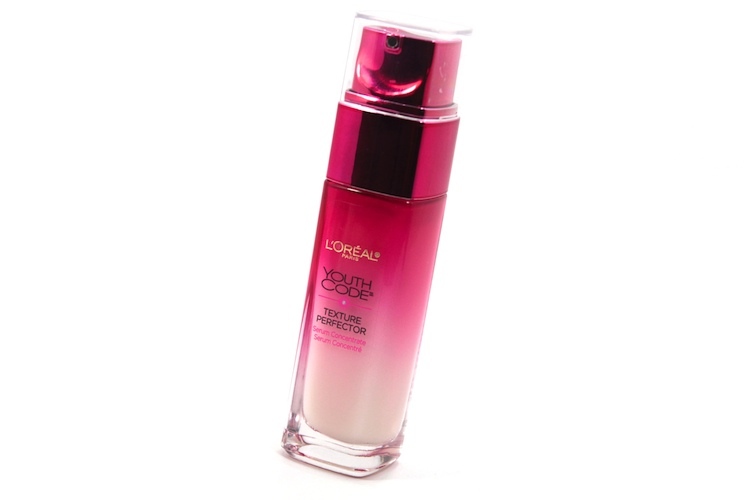 The serum comes in a tall glass bottle with an easy-to-use pump. 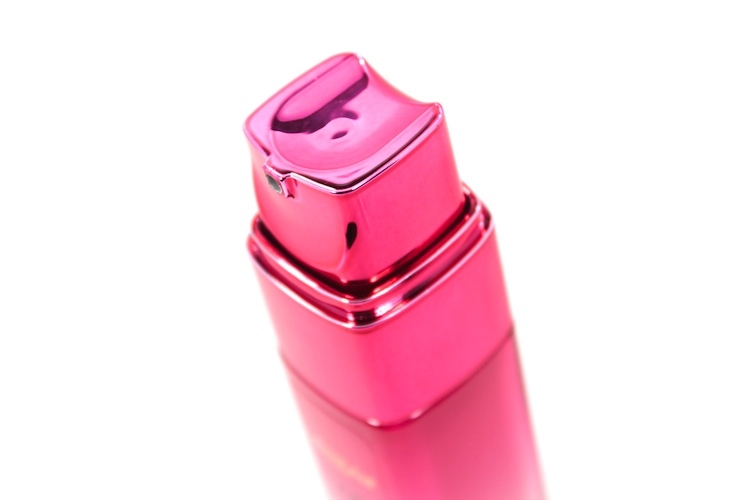 Not only is the packaging pink, but if you look closely at the serum, there's a faint iridescent pink tinge to it. Once you begin spreading it on the skin, you can't even tell. I've been using a pea-sized amount of this serum day and night for two weeks now. I've noticed a subtle difference in the general appearance of my skin, but I haven't yet noticed a change in the appearance of any dark spots / hyperpigmentation. I will still continue to use it, though. My skin usually doesn't reap all the benefits until about six weeks of continuous use. I think this new line is definitely worth a try if you're looking for "entry-level" anti-aging skincare products (although, I personally still prefer good ol' retinol). saw this in store but am a bit skeptical. i dont know why but i'm always drawn more into the serums from high end brands which seems sort of ridiculous if cheaper korean brands can pump out high quality goods for lower prices. mostly though, i do tend to stick with the asian brands for serums and speciatly skin care items.